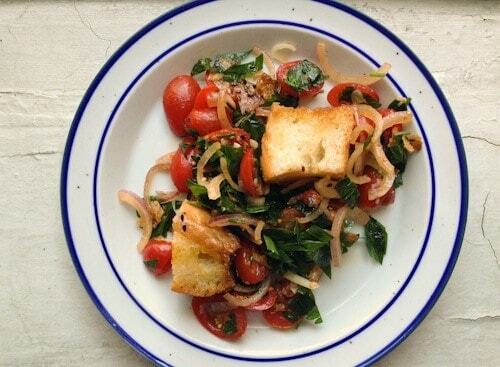 Sundried Tomato Salad (Panzanella) | Good. Food. Stories. I lived my most formative years entirely in the 1990s. Puberty, the high school pep rally I attended the same day I first saw the video for Nirvana’s “Smells like Teen Spirit,” college dorms, my first job, and the ultimate marker of adulthood—my own piece of hand-me-down Ikea furniture—were all under my belt before Y2K failed to crash and burn. 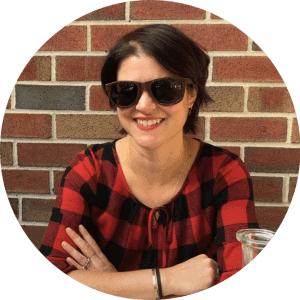 I went from a little kid to a grownup in one decade, from Pop Rocks to sun-dried tomatoes. My early, prescient adulthood was marked by my growing awareness of what was tasteful and mature, even if I had to fake it for a while. Like saying that my favorite band was Pearl Jam, even if Paula Abdul was more likely to be found in my CD Walkman. My most sophisticated college friend, a girl who drank Brita-filtered water from blue wine glasses with yellow suns and moons on them, adored sun-dried tomatoes and so I did too. Sun-dried tomatoes in the Nineties were very much “in” and turned up everywhere from California Pizza Kitchen to Le Cirque. Later in the new millennium, sun-dried tomatoes slowly disappeared from the inside of every sandwich, because in truth, they were often overused, misplaced, and sometimes disgusting. I spotted a plastic box of them recently at Manhattan Fruit Exchange and could instantly recall their sour, chewy and pungent taste in my mouth. But I bought them anyway, partly out of nostalgia, but also because I wanted to reconsider them. I searched the Talisman cookbook and The Silver Spoon New Edition , both venerable sources for classic Italian cuisine, and didn’t find even a mention of sun-dried tomatoes. Further searching in some of my favorite Italian cookbooks revealed just a few recipes, all in Sicilian dishes. And there I realized the two great follies of those chewy little tarts that once nearly caused me to lose a filling. The process of drying tomatoes in the blistering sun under a cheesecloth is a Sicilian summer ritual. Heat intensifies the tomatoes’ fresh summer flavor and keeps their nutritional value. Once dried, the tomatoes are preserved in extra virgin olive oil to be enjoyed throughout the year. But unless tomatoes are dried under the Sicilian sun and packed in olive oil or slowly in your oven at 200°F, they can be ghastly. The common industrial tomato is dried in large commercial ovens and preserved with sulfur dioxide and citric acid, muting the actual taste of tomato while enhancing the sourness and acidity. 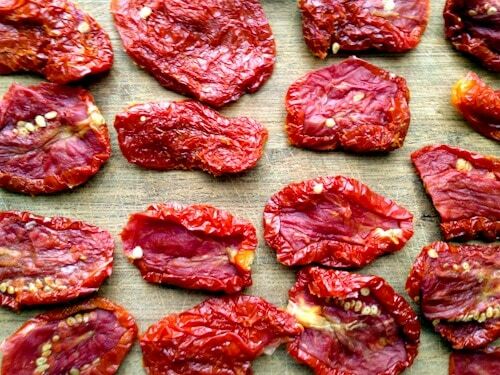 Second, sun-dried tomatoes in the Nineties were most often paired with a mild flavor, like goat cheese or mozzarella in sandwiches. (Starbucks still insists on this.) Instead of the flavors balancing each other, the red menace took over and bullied everything around it. But if we use the fail-proof rule of “what grows together goes together,” sun-dried tomatoes belong with the other strong flavors of Sicilian food: oregano, fennel, onions, and stout olive oil. Proof positive is my panzanella, or bread salad. Feel free to improvise with the quantities, though make sure the flavors are all bold and strong. Toss the bread cubes with 2 tablespoons of the olive oil and toast in a large skillet over medium heat until the bread is lightly browned. Remove the skillet from the heat and let the bread cool. Stir the sun-dried tomatoes, fennel, onion, parsley, and oregano together in a large bowl. Add the bread and toss gently to combine. Dress with the rest of the olive oil and toss again until all the ingredients are well mixed. Serve at room temperature.